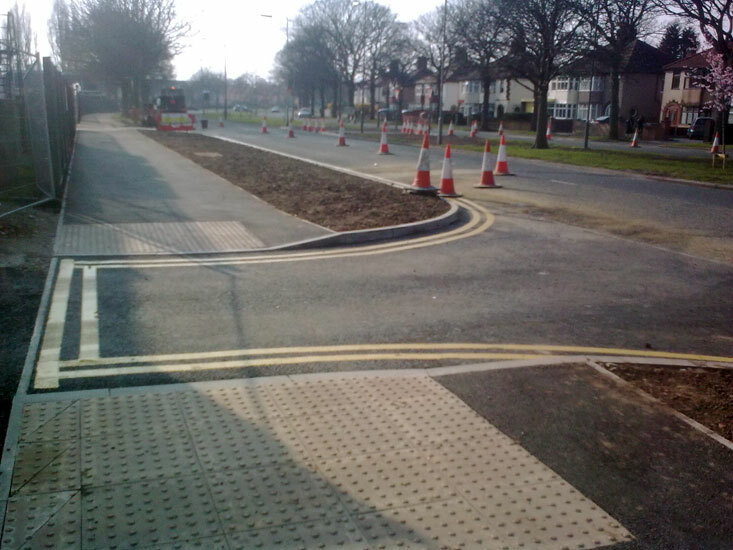 Adopted roads and drainage are one of our specialities. 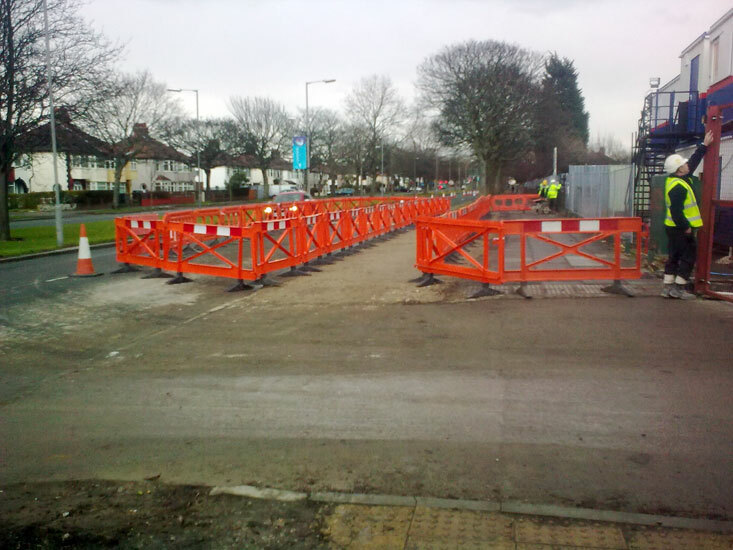 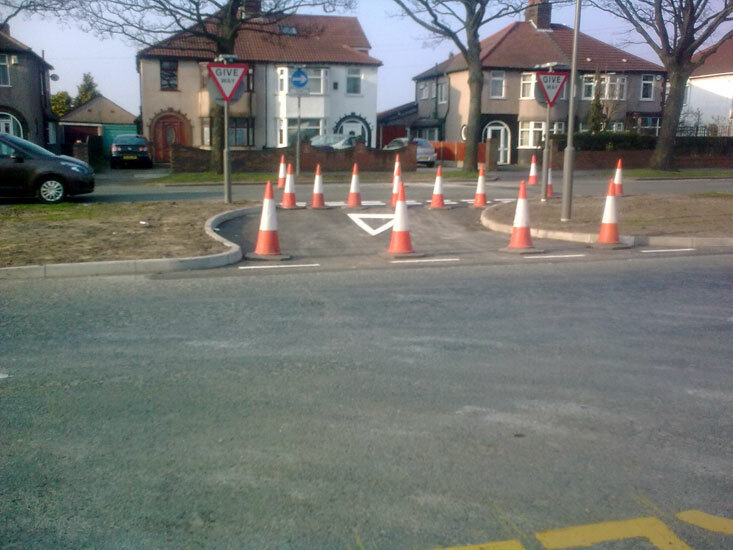 We provide a complete service for the installation of new roads to adoptable standards. 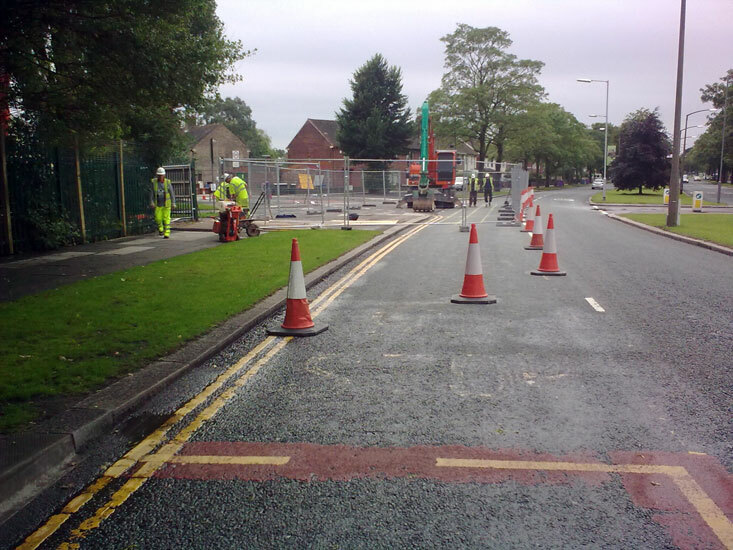 We will liaise with the local authority on all matters relating to the construction including street lighting and signage. 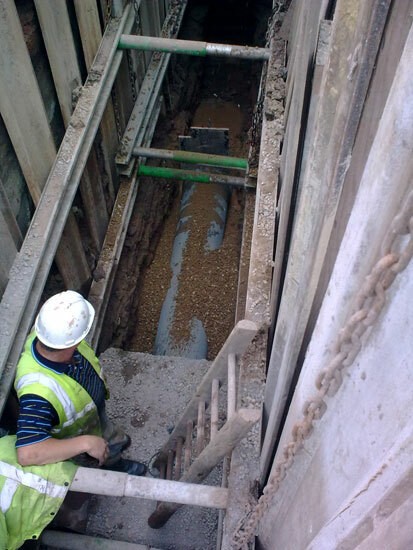 On previous projects where a large number of underground services were suspected we have used X-ray to survey the area to establish the extent and position of every known and unknown service. 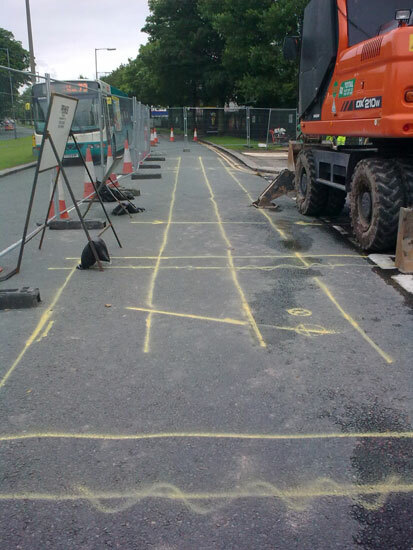 These pictures show the services marked out on the hire prior to making a new sewer connection. 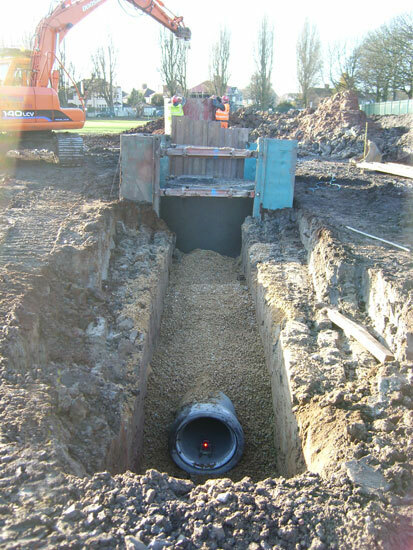 Large attenuation, harvesting, soak away systems utilising pipe, culvert, plastic cell, plastic pipe or metal pipe can be supplied, installed and combined with different membranes and flow control units so that all projects and be provided for. 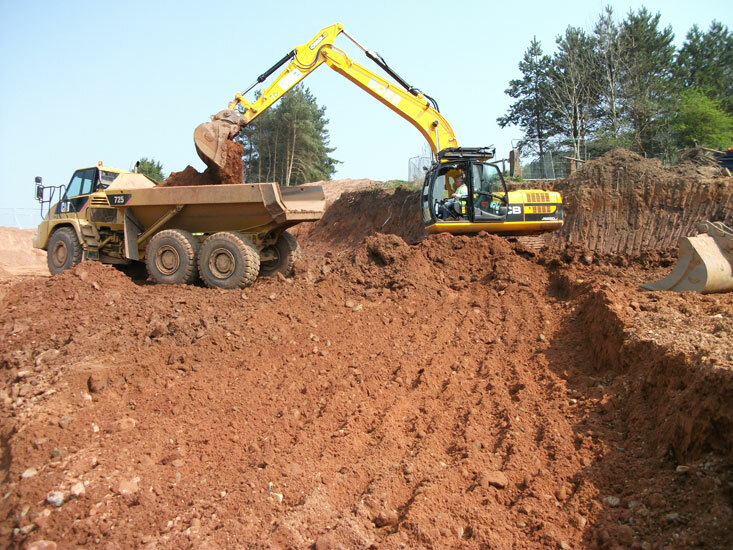 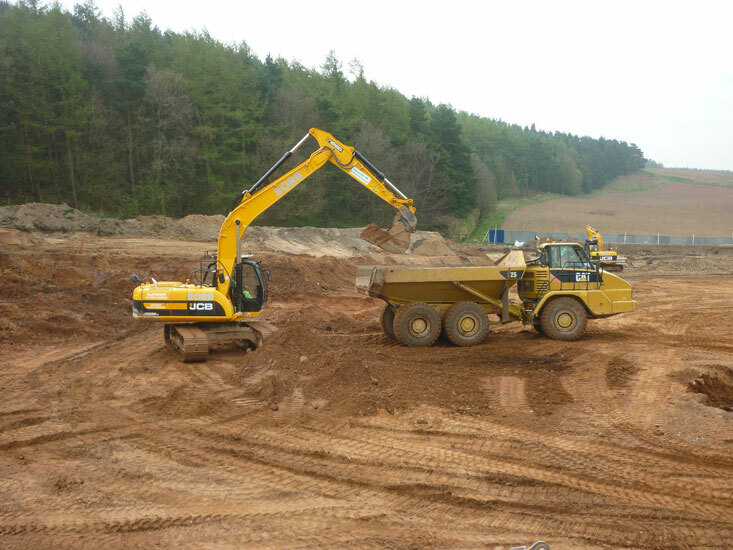 We can remove spoil and import fill material on a large scale where the project requires. 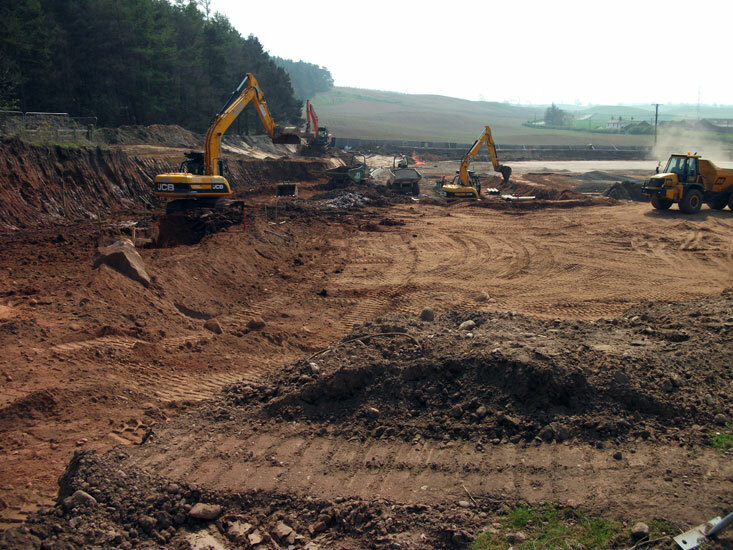 We undertake remediation, re-contouring and removal of material generated during construction. 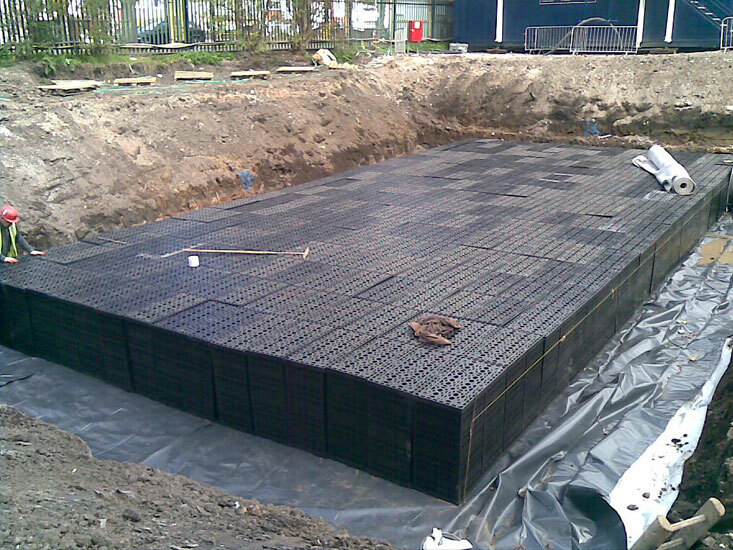 Bora construction can supply and install specialist retaining structures and walls. 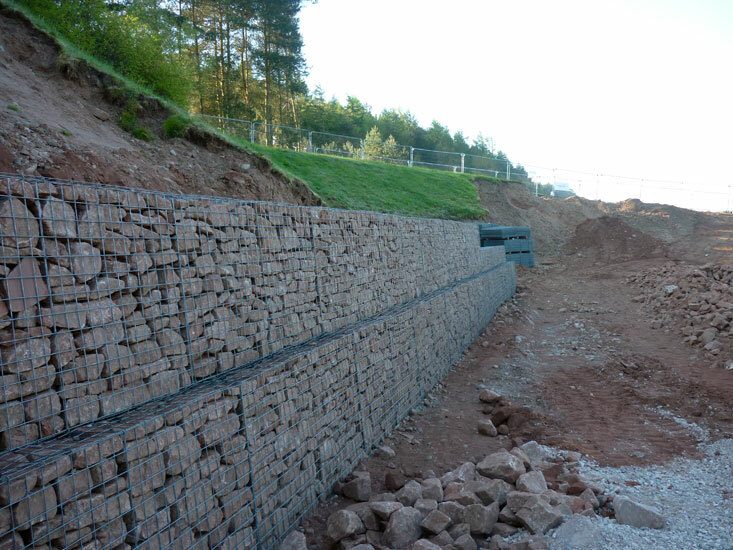 We specialise in systems such as gabion walls, concrete crib retaining walls, in situ concrete walls, masonry walls and propriety dry lay walls. 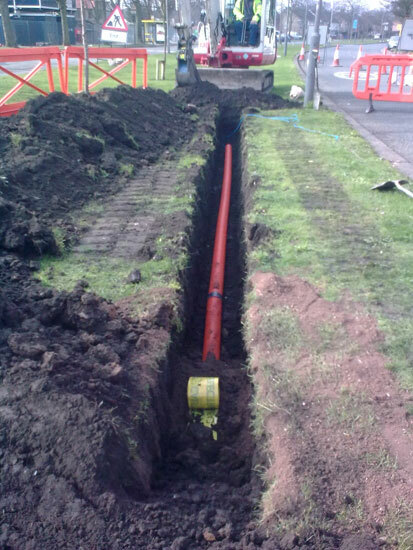 All types of ducting can be supplied and installed by Bora including domestic water mains under WIAPS. 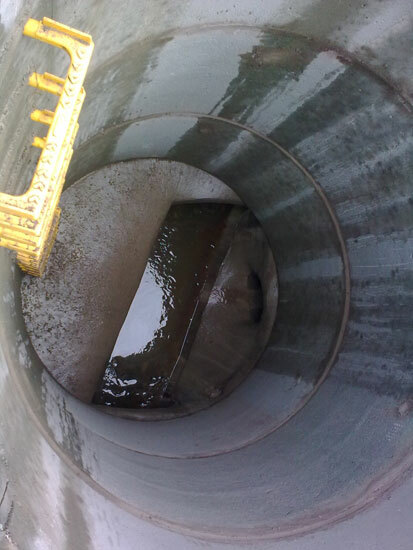 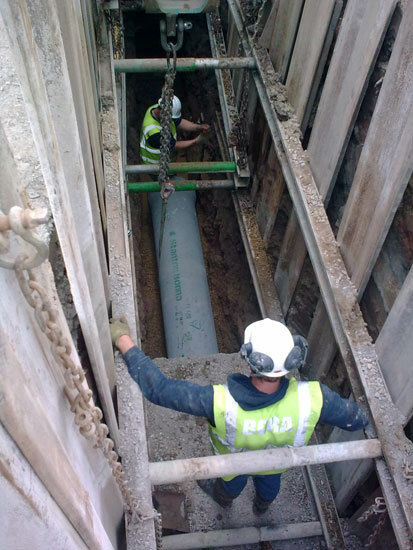 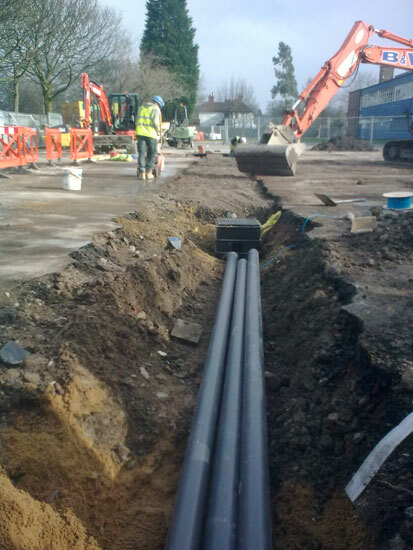 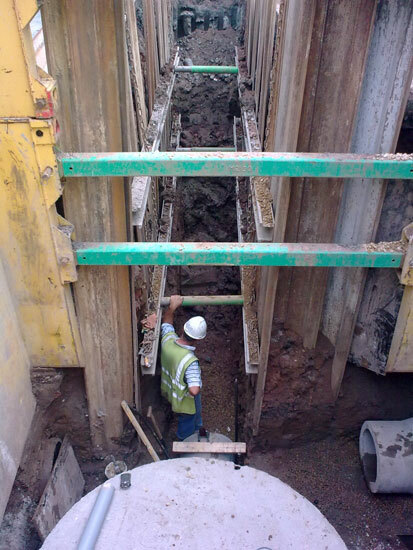 At Bora we specialise in large diameter deep drainage. 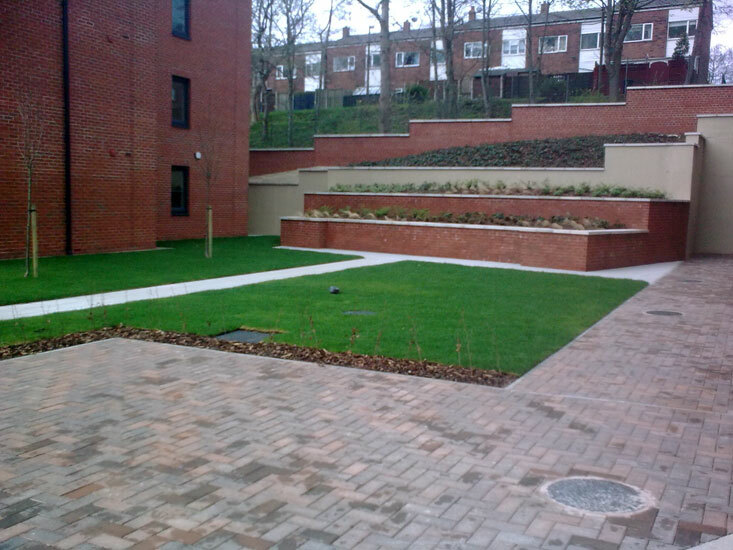 We can supply and install concrete, clay and plastic systems as required.